If you have a website or blog, or if you work with anything related to the Internet, you’ll certainly need to know a bit about search engine optimization (SEO). A good way to get started is to familiarize yourself with the most common terms of the trade. Below is a listing of some of the more common SEO Terms and definitions. Stands for Search Engine Marketing, and as the name implies it involves marketing services or products via search engines. SEM is divided into two main pillars: SEO and PPC. SEO stands for Search Engine Optimization, and it is the practice of optimizing websites to make their pages appear in the organic search results. PPC stands for Pay-Per-Click, and it is the practice of purchasing clicks from search engines. The clicks come from sponsored listings in the search results. PageRank is an algorithm that Google uses to estimate the relative important of pages around the web. The basic idea behind the algorithm is the fact that a link from page A to page B can be seen as a vote of trust from page A to page B. The higher the number of links (weighted to their value) to a page, therefore, the higher the probability that such page is important. Cascading Style Sheets. A language used to describe how a given page or web site will look. Used to control font styles, graphical layouts, color, etc. Cost Per Acquisition. Fee paid to an affiliate marketer for driving a particular action or event on your site (either a sale or lead generation, etc.). A linkbait is a piece of web content published on a website or blog with the goal of attracting as many backlinks as possible (in order to improve one’s search rankings). Usually it’s a written piece, but it can also be a video, a picture, a quiz or anything else. A classic example of linkbait are the “Top 10″ lists that tend to become popular on social bookmarking sites. A link farm is a group of websites where every website links to every other website, with the purpose of artificially increasing the PageRank of all the sites in the farm. This practice was effective in the early days of search engines, but today they are seeing as a spamming technique (and thus can get you penalized). Also called inlink or simply link, it is an hyperlink on another website pointing back to your own website. Backlinks are important for SEO because they affect directly the PageRank of any web page, influencing its search rankings. The nofollow is a link attribute used by website owners to signal to Google that they don’t endorse the website they are linking to. This can happen either when the link is created by the users themselves (e.g., blog comments), or when the link was paid for (e.g., sponsors and advertisers). When Google sees the nofollow attribute it will basically not count that link for the PageRank and search algorithms. By using the nofollow attribute strategically webmasters were able to channel the flow of PageRank within their websites, thus increasing the search rankings of desired pages. This practice is no longer effective as Google recently change how it handles the nofollow attribute. The anchor text of a backlink is the text that is clickable on the web page. Having keyword rich anchor texts help with SEO because Google will associate these keywords with the content of your website. If you have a weight loss blog, for instance, it would help your search rankings if some of your backlinks had “weight loss” as their anchor texts. The title tag is literally the title of a web page, and it’s one of the most important factors inside Google’s search algorithm. Ideally your title tag should be unique and contain the main keywords of your page. You can see the title tag of any web page on top of the browser while navigating it. Like the title tag, meta tags are used to give search engines more information regarding the content of your pages. The meta tags are placed inside the HEAD section of your HTML code, and thus are not visible to human visitors. Google’s search algorithm is used to find the most relevant web pages for any search query. The algorithm considers over 200 factors (according to Google itself), including the PageRank value, the title tag, the meta tags, the content of the website, the age of the domain and so on. Stands for Search Engine Results Page. It’s basically the page you’ll get when you search for a specific keyword on Google or on other search engines. 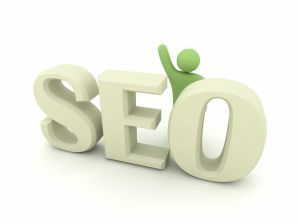 The amount of search traffic your website will receive depends on the rankings it will have inside the SERPs. Or LSI for short, is an algorithm used by Google (and possibly other search engines) to determine how words are related to each other in the context of a web page. An article about "cookies" might contain words such as chocolate, sugar, flour or dough for example. To find the keyword density of any particular page you just need to divide the number of times that keyword is used by the total number of words in the page. Keyword density used to be an important SEO factor, as the early algorithms placed a heavy emphasis on it. This is not the case anymore. Since keyword density was an important factor on the early search algorithms, webmasters started to game the system by artificially inflating the keyword density inside their websites. This is called keyword stuffing. These days this practice won’t help you, and it can also get you penalized. Google basically has a separate index, the sandbox, where it places all newly discovered websites. When websites are on the sandbox, they won’t appear in the search results for normal search queries. Once Google verifies that the website is legitimate, it will move it out of the sandbox and into the main index. This technique involves making the same web page show different content to search engines and to human visitors. The purpose is to get the page ranked for specific keywords, and then use the incoming traffic to promote unrelated products or services. This practice is considering spamming and can get you penalized (if not banned) on most search engines. Also called search bot or spider, it’s a computer program that browses the web on behalf of search engines, trying to discover new links and new pages. This is the first step on the indexation process. Duplicate content generally refers to substantive blocks of content within or across domains that either completely match other content or are appreciably similar. You should avoid having duplicate content on your website because it can get you penalized. Canonicalization is a process for converting data that has more than one possible representation into a “standard” canonical representation. A canonical URL, therefore, is the standard URL for accessing a specific page within your website. For instance, the canonical version of your domain might be http://www.domain.com instead of http://domain.com. This is nothing more than a file, placed in the root of the domain, that is used to inform search bots about the structure of the website. For instance, via the robots.txt file it’s possible to block specific search robots and to restrict the access to specific folders of section inside the website.